There are many reasons why modern Witches consider service an important aspect of their faith. It is well known that many of us are deeply concerned with environmental issues and the conditions of our animal friends. But it may be less well known that for most Witches, like many other deeply spiritual people, putting faith into action is a very important part of walking a path of spirit. This leads us to share the bounty in our lives, to reach out to others in their time of need, and to care for our sacred Earth. 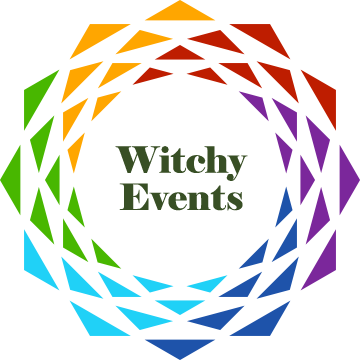 Everglades Moon Local Council provides its members with the opportunity to join together with other Witches in Florida, and across the U.S., to help those in need. Since our founding in 2002, we have dedicated a significant amount of time and energy to reaching out to support local organizations that help others. As part of our commitment to care for Mother Earth and all Her children, we have donated goods to the Animal Rescue League Thirft Store to support no-kill animal shelters in West Palm Beach, as well as pet food and supplies ot the Animal Shelter of Palm Beach County and Kindred Spirits Sanctuary for farm animals in Ocala. We have raised funds for animal rescue organizations such as No Paw Left Behind, Grateful Paws, and Catahoula United Rescue Society. The Charge of the Goddess teaches that if you do not find the Divine Ones within yourself, you will never find them without. This principle that the Divine can be found in every living being guides us to support our neighbors who struggle with health, economic, or safety injustices. EMLC has created care packages for shelters that provide safe space for victims of domestic abuse such as Martha’s House in Okeechobee and The Lotus House in Miami. We have donated canned food and funds to homeless shelters including The Lord’s Place in West Palm Beach and The Homeless Voice. One of our longest partnerships is with The Center for Positive Connections, an organization that provides support to families living with HIV-AIDS. Every year, since 2002, we have held a fundraiser or toy drive for the Center, and we provide tarot card readers for fundraising events organized by the Center. For the past few years, we have also been collecting toys and toiletries for the children and women spending their holiday at Harmony House, a YWCA operated safe and secure sanctuary for victims of domestic violence. Following the tragic earthquakes in Haiti, EMLC joined together to make donations of clothing, tents, food, and funding through organizations such as Medishare, Partners in Health, and Doctors Without Borders. CoG member Peter Dybing started a Pagan Relief Effort in response to the devestating earthquake and tsunami in Japan. His goal was to raise $30,000 for Doctors Without Borders. EMLC and many of its members, along with pagans around the world, contributed through Peter’s FirstGiving Links, helping him reach, and surpass, this goal. Our respect for our members who have served in the military as well as all those who serve our country inspired us to participate in Operation Circle Care, a national effort to send Pagan-themed care packages to active duty military at Yuletide. EMLC has donated books that present accurate and up-to-date information about our path to local public libraries and universities. We constantly encourage members of EMLC to suggest new philanthropic activities that they feel are consistent with our path, serve a real need in our communities, and help promote a positive image of Witches in our world.